Affix Windows offer the supply and fit of conservatories in Sidcup, Dartford, Blacken, Bexleyheath, Bromley, Chislehurst, Welling, and surrounding Kent and London areas. Our Edwardian conservatories create a new space in your home. 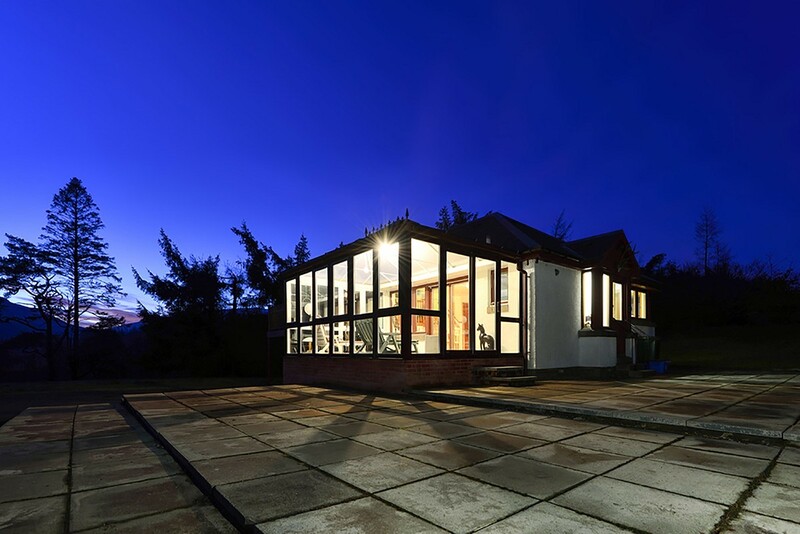 This design is the ideal blend of a traditional extension and stunning double glazing. The Edwardian conservatory tends to have a square or rectangular base, with a minimalist design to allow for clean lines and a brighter room. It makes a highly practical addition to any property and can be used for many purposes. These beautiful conservatories complement any style of architecture and are a great alternative to brick built extensions. You can also choose to match your home perfectly and with a choice of tiled conservatory roofs. At Affix Windows, we work with the most exceptional manufacturers in the industry, such as market leaders Origin, to create quality aluminium conservatories which are durable and stylish. The beautiful designs are complemented by the latest innovations in double glazing to ensure your new living space is practical and can be used all year round, whatever the weather. 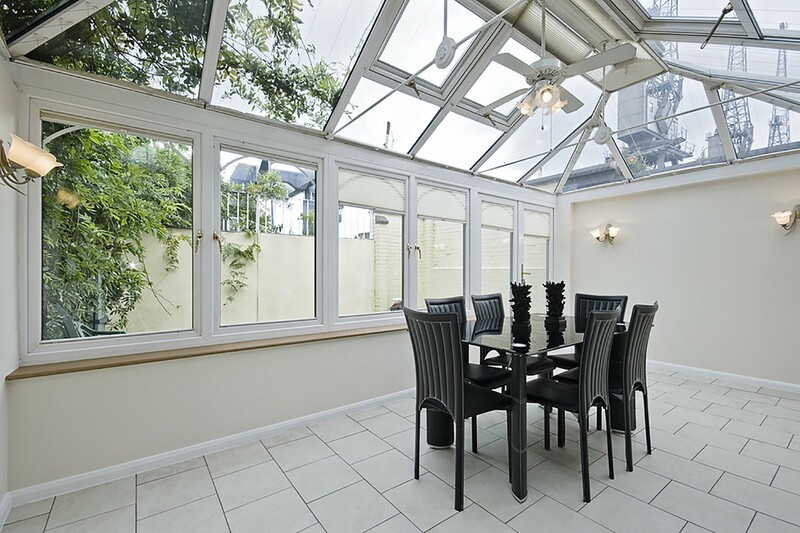 Our conservatories offer outstanding performance. They are the ideal option for extending your Sidcup home with an additional and affordable room that you can use as a dining area, living room, home office and so much more. Whatever you choose to use this new room for, it will be warm, bright, and fresh. We also offer market-leading uPVC profiles. We offer you a choice of materials so you know you can get exactly what you want when you choose us for your Edwardian conservatory installations. Edwardian conservatories make stylish glass extensions for any Kent home. They are precision engineered to offer a durable and sleek finish and are tailored to your specifications. Whether you want to create a traditional timber look for your new extension, or you want a colourful addition to your home, we can customise your design to meet your needs. In addition to this, we offer a choice of entrances to open up your new conservatory to the outdoors. Choose the ideal option from our range of conservatory doors to create the most spectacular and functional entrance to your outdoor space. Our Edwardian conservatories come in a choice of either uPVC or aluminium, giving you the opportunity to create the right look and style for your home. Whichever option you choose comes with a wealth of performance qualities which will enhance the living space, making it warm, cosy and a superb place to relax all year round. Our conservatories benefit from outstanding Windows Energy Ratings making them great for thermal performance. The double glazed units that we use for our uPVC Edwardian extensions are incredibly durable and heavily insulated. This means that you will no longer have to deal with cold draughts of air entering your home, resulting in a comfortable space even on the coldest of winter days. The heavily insulated frames also mean that during the summer, you no longer have to worry about an unbearably warm room. Our Edwardian conservatory will stay cool by reflecting the heat from the sunlight. Along with being highly thermally efficient, our Edwardian conservatories fitted in Sidcup, Kent, are also weatherproof. With sturdy structures which are expertly constructed, your new conservatory will protect you from the worst of the British weather. You will not have to worry about cold draughts and water seeping through the seals. We ensure our conservatory installations meet the highest standards of security, protecting you and your family from unwanted visitors. 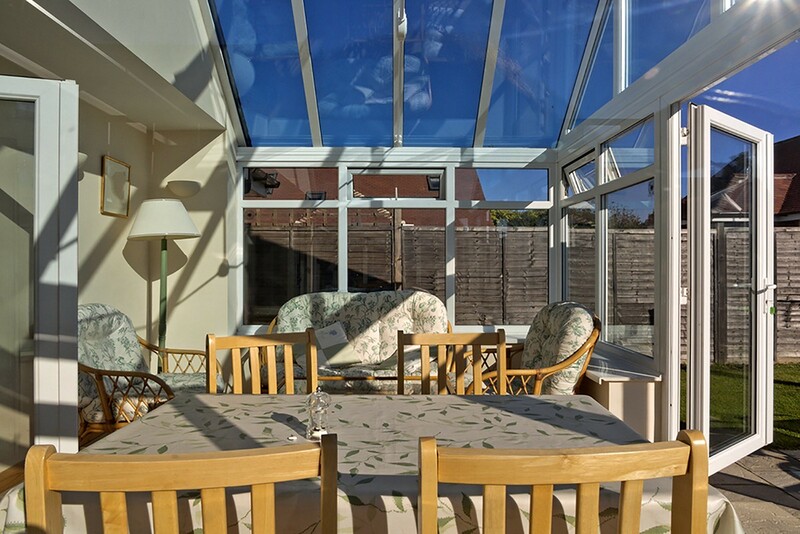 You can have complete peace of mind knowing that our conservatories can withstand a great deal of pressure. Our conservatories are also fitted with state of the art locking mechanisms and hardware to secure your home in Sidcup, Dartford, and Kent further. At Affix Windows, we pride ourselves on giving our customers the very best service possible. We will be on hand from start to finish, helping you to create an Edwardian conservatory design you love which completely meets your needs and your tastes. Our expert designers will work with you to create a bespoke design. Customised to suit your tastes and your budget, you get to enjoy your new conservatory and enhanced living space. Our Sidcup installation teams are highly trained and experienced too, committed to excellence in every installation. They will fit your conservatory with the utmost care and consideration, ensuring the entire installation process is a smooth and stress-free experience. We offer fantastic Edwardian conservatory prices in Sidcup, Dartford, Welling, Blacken, Bexleyheath, Bromley, Chislehurst, Kent and London. With many options available to personalise your new glass extension, you are sure to find the perfect blend of choices to suit your home and your budget. To receive your personalised Edwardian conservatory quote, simply use our online quoting engine today to give your home the extra room you have always dreamed about. Alternatively, please contact us. Our friendly team will give you expert advice and guidance on conservatories in Kent and London. Alternatively, check out our other conservatory styles for more options.